I wanted to thank everyone who made Lobby Days 2011 so wonderful! Over the last two days we roamed the halls of our Capitol building talking to legislators about issues important to all of us. 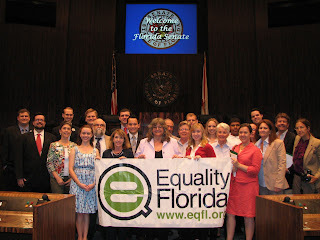 We had a wonderful group of students, retirees, parents and straight allies, all working toward equality. And thank you to the hundreds of people who were virtual lobbyists and contacted their legislators about key legislation. "I keep thinking about the legislators (and aides) who we lobbied over the last two days in Tallahassee with Equality Florida. 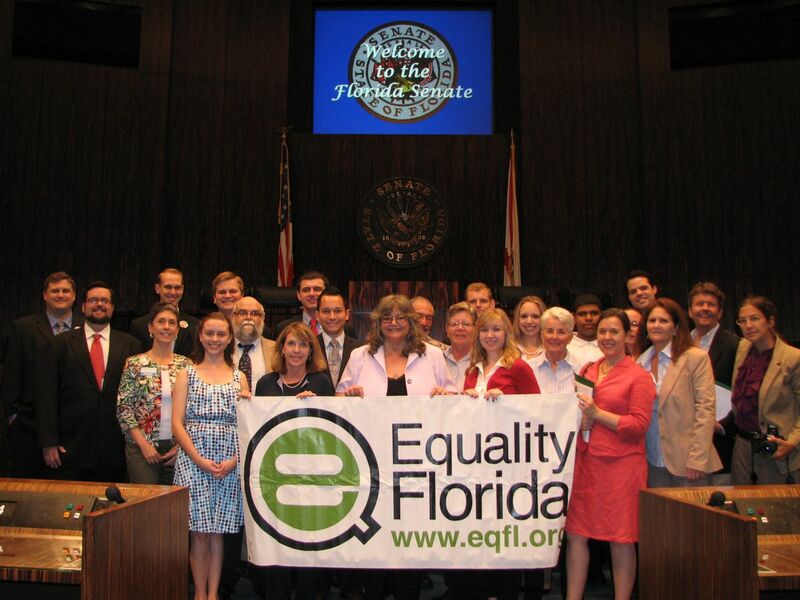 Even though the vast majority were Republican/conservative we saw encouraging signs of support for adding LGBT people to Florida's non-discrimination statutes. One Republican legislator said 'Just keep working on it and it'll happen. Keep doing what you're doing.'" So thanks again, and I can't wait to see you in Tallahassee next year!